Atlanta is a great place to indulge yourself not only with the classic American cuisine but also with some of the most exquisite world dishes. Have a look at the must eats in Atlanta now! Atlanta is one of the cities in the United States that the classical American dishes are cooked and served in a traditional way. Of course, when looked a bit closer, it is possible to say the cuisine of the city is gathered around Southern style cooking. The ingredients used are mostly fresh and grown in the fields nearby, and this definitely adds up to the deliciousness. No matter if you are a fan of meat dishes or you are vegetarian, even a vegan, you are going to find what you may want to try in the restaurants and cafes in Atlanta. 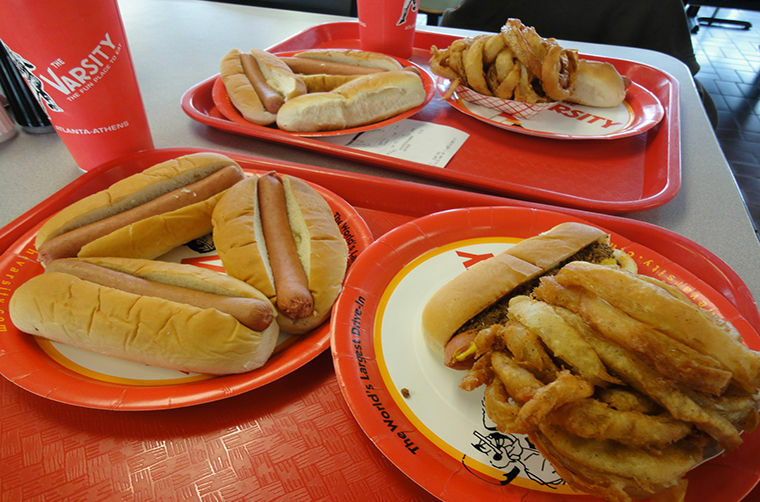 However there is one you must pay a visit; not because it is the world’s biggest drive in restaurant but because it has been in the business since 1928 and reflects the traditional American food the best way possible. Varsity, located on 61 North Avenue Northwest, is a legend not only in Atlanta but also in whole America. There are people driving miles to Atlanta, just to come and grab a bite in Varsity. So, don’t miss your chance when you are nearby, even if you don’t really like “fast food”, give it a try. By the way, fast food is not your only option at the restaurant if you take a seat inside. If you don’t want to indulge yourself with tasty burgers and delicious fries, that’s okay. If you want something a bit different (and probably healthier) then you can visit the best sushi restaurant located in Atlanta; Umi Sushi. Umi Sushi serves their dishes in such an exquisite way that even people who don’t enjoy sushi that much leaving the place with a must comeback plan in their mind. Their chefs are experts in their areas and the have an outstanding staff to make you feel you special. The place is usually full; so making reservations in advance may be a bright idea. You can of course go there when there is still time for hunger to hit you and you can sit at the bar, enjoy a drink and wait for your table. Don’t forget to save some space for the dessert when you are there because they are assertive when it comes to sweets, too.